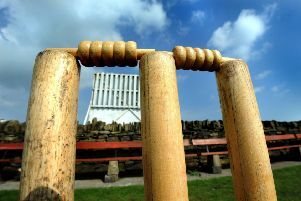 Scholes – battling to get off the foot of the BCL Premier Division table – suffered a six-wicket defeat to their neighbours at the bottom of the hill, Woodlands. Skipper James Stansfield, who top scored with 38, was far from happy with the 99-9 on a damp track. “We could and should have scored 30-50 more runs,” said Stansfield. Elliot Richardson (4-34) and Chris Brice (4-30) had pinned down the Scholes batting line up. Stansfield, leading from the front, took 3-25 in the Woodlands’ innings but Sam Frankland (44) and Callum Gilbert (34) ensured the hard work had been done when they departed from the crease.